Since 2010, D’Souza has written two other New York Times bestselling books, Godforsaken and Obama’s America: Unmaking the American Dream, the latter climbing to #1 on the New York Times bestseller list and inspiring a documentary on the same topic. The film, called 2016: Obama’s America, has risen to the second highest grossing all-time political documentary, passing Michael Moore’s Sicko and Al Gore’s An Inconvenient Truth. In addition, 2016 has risen to #6 on the bestselling list of all documentaries. His most recent book is America: Imagine A World Without Her, in which he explores the landscape of a world in which America had lost the Revolutionary War. A new film based on his book called America opened in theaters on July 2, 2014 and is now available on DVD/Blu-Ray/Digital HD. D’Souza’s articles have appeared in virtually every major magazine and newspaper, including the New York Times, Wall Street Journal, The Atlantic Monthly, Vanity Fair, New Republic, and National Review. He has appeared on numerous television programs, including the The Today Show, Nightline, The News Hour on PBS, The O’Reilly Factor, Moneyline, Hannity, Bill Maher, NPR’s All Things Considered, CNBC’s Kudlow Report, Lou Dobbs Tonight, and Real Time with Bill Maher. For over two hundred years, America has been a shining city on the hill: a symbol of freedom and opportunity for the rest of the world. An inspiration for those living in abject poverty or under oppressive regimes. A refuge and a home. A grand experiment in freedom. A prosperous land of opportunity. A force for good in times of evil, and a force for order in times of chaos. But what if America had never been founded? Dinesh D’Souza shows how America has benefited from being a country who supports Capitalism and Free Markets. But is Capitalism moral? Historically in every culture the merchant and trader has been at the bottom of the totem pole. Capitalism elevates the entrepreneur to top of society and, Dinesh argues, brings the rest of society up with him. As in the book of the same name, Dinesh gives his most auto-biographical talk about how America has changed his own life and the world. America’s principles, systems of government, and value for the individual has made it into the prosperous and powerful nation in the world. This talk is a fascinating look at what makes America so great. 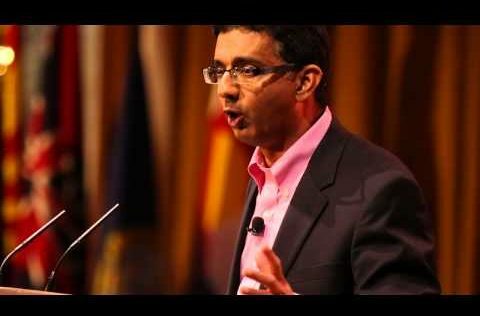 In his debates with leading atheists (including the late Christopher Hitchens) Dinesh D’Souza faced a barrage of questions about Christianity such as “Has Christianity been disproven by science?”, “Has it been debunked as a force for good?”, and “Has it been discredited as a guide to morality?” In this talk, Dinesh explores the truths of Christianity, how they withstand modern arguments, and how Christianity has shaped (and continues to shape) the best values of Western civilization. Science now claims to have most of the biggest questions answered. But can it tell us why we are here? Or what the purpose of life is? Or where the universe came from? Dinesh shows that science cannot answer many of our biggest questions and that religion still can. 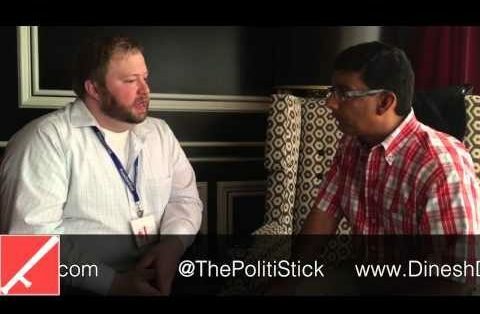 Dinesh does more than push back on science, he uses it to demonstrate the validity of faith. While America can seem to be “post-Christian” today, it stands on a mountain top of Christian ideals and reasoning. In this exciting and relevant topic, Dinesh explores the many ways that America has benefited from incorporating Christian ideals into its culture and society. 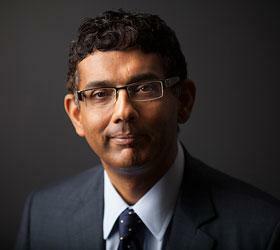 From the Founding Fathers to current foreign policy, Dinesh D’Souza passionately shows the power role of Christianity in America past and present.